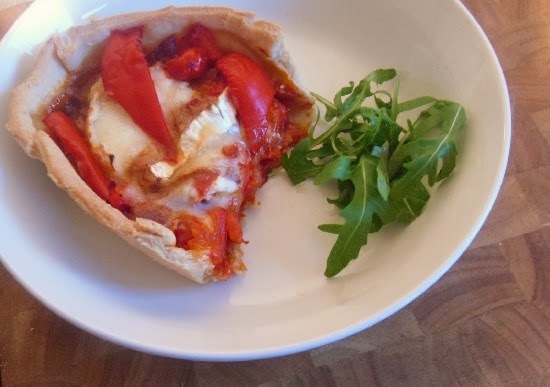 Emily's Recipes and Reviews | UK Food Blog | Leicestershire : easy peasy red pepper and goats cheese tart. there are gaps just use excess pastry to patch it up. cut up your onion, tomato, de-seeded pepper and garlic and toss into a pan with a little oil or butter. keep a couple of slices of pepper for a topping. 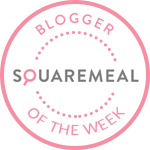 squirt in your purée to thicken it up and if the mixture begins to stick don't be afraid to add a little more. keep it on quite a low heat and simmer until the red pepper in particular has softened. and layer slices of goats cheese and the extra red pepper on top. put in the oven to bake for around twenty five minutes or until the pastry is hardened and golden and the cheese looks melted and delicious. this particular dish made two servings. one which i had fresh and warm, the other i had cold with salad. keep in the fridge for a couple of days. other ideas for fillings or toppings could include mushrooms, bacon, ham, spinach, other colours of pepper, different cheeses. the possibilities are endless. but most importantly, easy peasy.